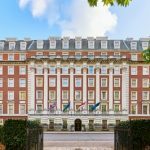 The hotel, which will be known as The Biltmore, Mayfair – LXR Hotels & Resorts, has undergone a multi-million-pound redevelopment following its closure in early July 2018. 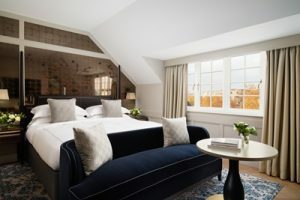 Designed by Goddard Littlefair, the hotel will offer 257 luxuriously appointed guest rooms, many with views over Grosvenor Square, as well as 51 highly-curated and beautifully designed suites, which will reflect the property’s origin as a sophisticated and elegant London private residence. The Biltmore, Mayfair will boast new culinary concepts headed by internationally-renowned chefs, an all-year round alfresco terrace, an exclusive cocktail bar and a large gymtech fitness suite. In addition, the hotel will showcase an impressive 500 sqm ballroom, ideal for large-scale events and weddings, with capacity for up to 700 guests for a cocktail reception. For smaller functions, the Waterloo and Manhattan Suites are suited to more intimate receptions of up to 100 guests, while the Kendal Suite lends itself perfectly to small groups of 25 guests or boardroom meetings.